Do they mope around all day? Do they zone out for hours in front of the television? Do they sleep in late or nap all day? Are they unmotivated to help with the dishes or to straighten the house? No, we aren’t talking about your growing teenagers. We are asking if you see this behavior from your aging parent. If your dad has lost interest in his favorite hobbies or your mom no longer enjoys working in the garden, these may be signs of depression in your parent. And it’s important to note, depression is not a normal part of the aging process. 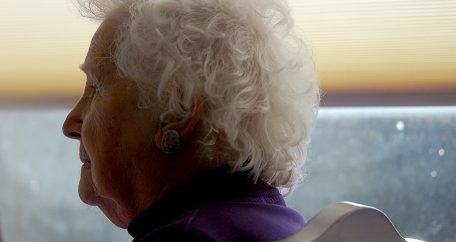 According to the National Institute of Mental Health, older adults with depression often show less obvious symptoms and are less likely to confide their feelings of sadness or despair. Also, they are at greater risk of depression if they have a physical illness or medical condition, such as Parkinson’s disease or a heart condition, that can make symptoms worse. Therefore, it’s important to recognize the signs of depression to get them the help they need. Depression is treatable through counseling, psychotherapy, cognitive behavioral therapy, medication, or a combination of these so you should consult with their physician. Aegis Living has a holistic approach to caring for our aging residents. To ensure their mental health, we have partnered with a medical professional who provides geriatric psychosocial services for our Washington residents. Through scheduled appointments within their communities, our residents can meet to address symptoms they may experience due to depression or other mental disorders. Our goal is to maximize their quality of life and help treat their unique issues. Your dad’s mental health is just as important as his physical health. Your parent does not have to suffer from depression. They are just as able to bounce back from depression as someone half their age. If you suspect your parent is depressed, consult with their physician who will be able to recommend the appropriate treatment for your loved one.